Marks & Spencer today reveals full details of its extended, redesigned Leeds store which is set to open at Trinity Leeds on Thursday, 21 March, bringing 60 new jobs to the area. Extended by over 10,000 sq ft, the Briggate store will now have over 96,000 sq ft of selling space – the size of over seven Olympic-sized swimming pools – and offer customers in the area even more shopping options across fashion, beauty and homeware. Homeware: An extentiono to the Home department will allow customers to browse M&S’ extensive soft furnishing and accessories collections. With an inspirational environment to shop for products, the department will feature the latest M&S ranges to help customers create a living room, kitchen or bathroom to suit their style. 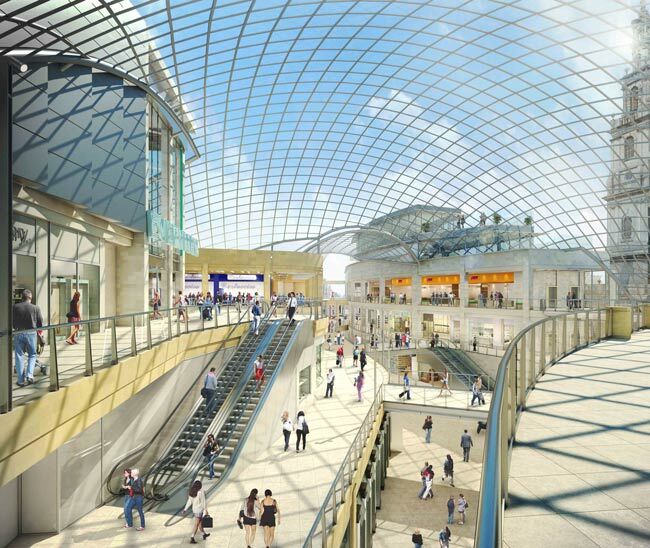 Café: As well as a great place to shop, M&S Leeds will now have two M&S Cafés providing seating for 200 people. Serving delicious, freshly-made dishes using ingredients from the Food hall, it will be a destination for customers looking to have a break during their shop. The new 100-seat Café, located on the second floor, will offer customers panoramic views of the entire Trinity development whilst they enjoy hot and cold seasonal dishes, tempting desserts, sandwiches and an extensive selection of drinks and Fairtrade tea and coffee. We are thrilled to be in the final stages of unveiling our extended, redesigned store to our customers and can’t wait for them to benefit from the introduction of bigger fashion ranges, a new beauty and homeware offer as well as a second 100-seat M&S Cafe. We look forward to welcoming old and new customers to the newly revamped store when it is unveiled next week. The re-launch of the Briggate store will follow celebrations the week before to mark the launch of a heritage and coffee stall at the birthplace of the company at Kirkgate Market. Located a short 200 metre walk from the Briggate store, visitors will have the chance to learn about the heritage of the brand while enjoying a coffee and purchasing M&S branded gifts and merchandise. The new stall coincides with the one year anniversary of the opening of the Marks In Time exhibition at the M&S Company Archive at the University of Leeds.